The benefits of computer networking include more convenient file sharing and internet connection sharing. Wireless home networks offer even more benefits than wired ones. Here are just some of the useful features a computer network offers. Network file sharing between computers gives you more flexibility than using portable disk drives. Not only can you share photos, music files, and documents, you can also use a home network to save copies of all of your important data on a different computer. "Backups" are one of the most critical yet overlooked tasks in home networking. Using a home network, multiple family members can access the internet simultaneously without having to pay an ISP for multiple accounts. You will notice the internet connection slow down when too many people share it, but many broadband internet services can handle a high load with little trouble. Even if slow sometimes, the convenience of shared connections can't be beaten especially during times of serious need. Once a home network is in place, it's easy to then set up all of the computers to share a single printer. No longer will you need to run from one system or another just to print out an email message. Other computer peripherals can be shared similarly such as whole house audio streaming system, scanners, ​and webcams. Many popular home computer games support either LAN (local) or online (internet-connected) modes where friends and family can play together if they have their computers networked. "Voice over IP" (VoIP) services allow you to make and receive phone calls through your home network across the Internet, saving you money. Newer home entertainment products such as digital video recorders (DVRs) and video game consoles also support wired or wireless home networking. Having these products integrated into your network enables online Internet gaming, video sharing, and other advanced features. Device Mobility: Notebook computers and other portable devices are much affordable than they were a few years ago. With a mobile computer and wireless home network, you aren't chained to a network cord and can work on the couch, on your porch, or wherever in the house is most convenient at the moment. No Unsightly Wires: Businesses can afford to lay cable under their floors or inside walls. But most of us don't have the time or inclination to fuss with this in our home. Unless you own one of the few newer homes pre-wired with network cabling, you'll save substantial time and energy avoiding the cabling mess and going wireless. Wireless is the Future: Wireless technology is clearly the future of networking. 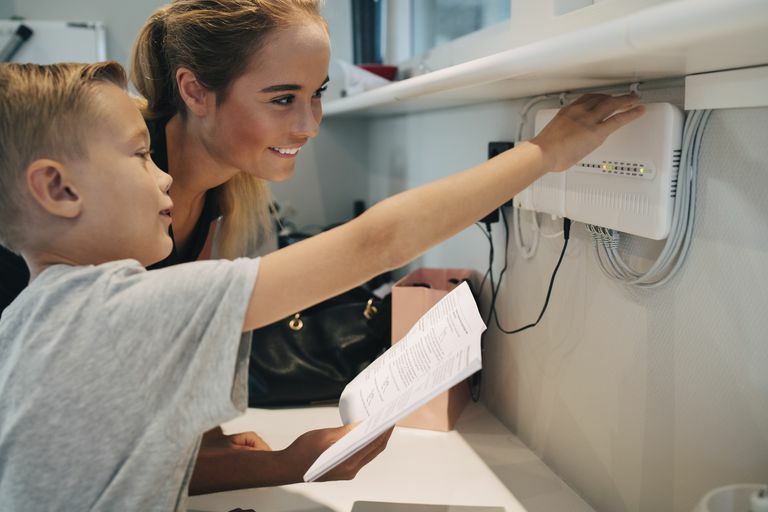 In building a wireless home network, you'll learn about the technology and be able to teach your friends and relatives. You'll also be better prepared for future advances in network technology coming in the future.